In Home Behind, you take on the role of a refugee cast out from your homeland by a band of rebels. Your home and the peace you enjoyed has been destroyed, and your family has disappeared. 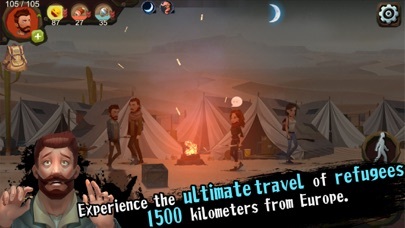 Can you survive the struggle, famine, and sickness to make it to the safety of Europe? The thoughts of civil war had been brewing in your homeland for years, and the violence has finally erupted. In the chaos, your village was burned to the ground, and your daughter disappeared. When faced with death, you chose to survive and to overcome the difficulties of disease, war, and famine. Can you make it long enough to be reunited with your daughter? 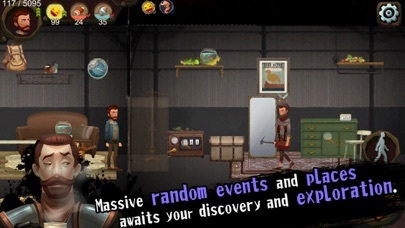 -All events and experiences you come across are randomly generated, so no play through is exactly the same! -Keep track of your mood, nutrition, and water levels while avoiding terrible diseases! 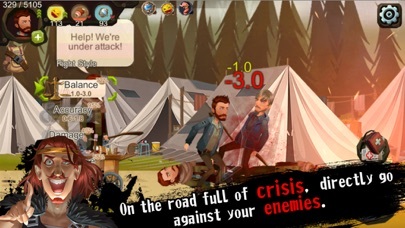 -Take on the ultimate struggle of survival as your travel 1500 kilometers to safety. 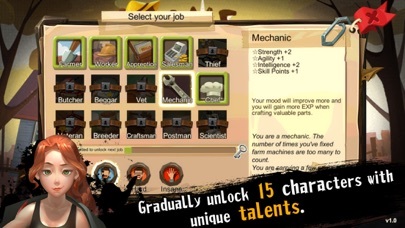 -Unlock all 15 jobs, each with their own special starting skills, items and rewards. -Experience tons of random events both in the outside world and indoors, and be the master of your destiny. -Survive both day and night, as well as random weather events. 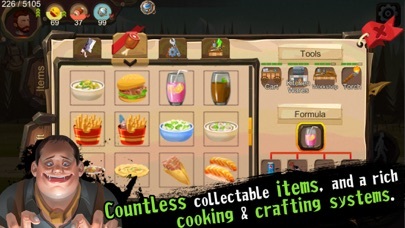 -Collect hundreds of items and craft your own weapons and armor. -Explore the limits of crafting and upgrading to forge the strongest gear. -Try loads of food to stay alive and cook your own meals Lizards Insects Braised beef. 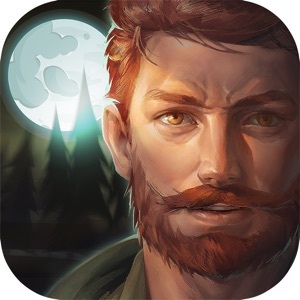 -Explore a world inspired by real events and real stories. -Fight a wide range of enemies, including wild beasts and rebel soldiers. Can you survive attacks from all your enemies and extremely difficult bosses?